Zack Snyder's comic-book reimagining, which opens in the UK and US this Friday, is being tipped for an impressive box office haul. Deadline reports the film's creative team of Snyder and screenwriter David S Goyer are both set to return for part two, which is being fast-tracked into production. The Dark Knight's Christopher Nolan, who oversaw the film in a much-hyped "godfather" producer's role, may have less input into the follow-up, which would be expected to see Britain's Henry Cavill reprising his role as Kal-El. 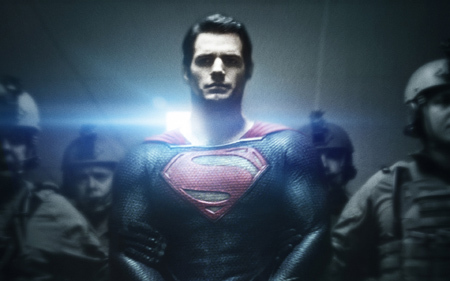 Strong box office predictions for Man of Steel should assuage studio Warner Bros' likely dismay at a new report from Bloomberg that suggests movies based on Marvel comic books generate 47% more in US box office sales on average than those based on comics in rival stable DC. Warner Bros owns the screen rights to the DC catalogue, which includes Superman, Batman, Green Lantern and Wonder Woman. Marvel films are mostly overseen by Disney-owned Marvel Studios, which had huge success with 2012's $1.5bn The Avengers and this year's Iron Man 3 (almost $1.2bn). However, rival studios Sony and 20th Century Fox own the rights to individual titles such as Spider-Man and the X-Men.